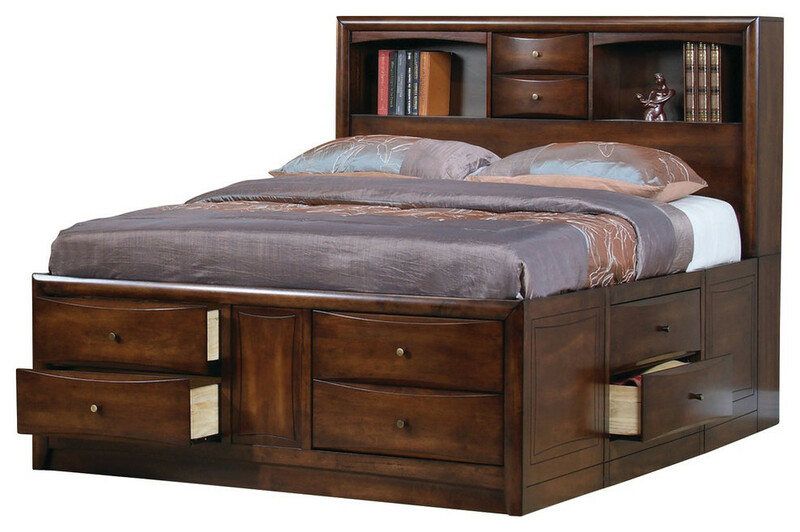 The functional storage bed in a chocolate brown finish is perfect for those in need of more storage space. The headboard features two cubbies that can be used to display your alarm clock or stylish accessories, while the drawers allow you to keep bedtime necessities within reach. The large under bed storage drawers can be used to hide bulky items like extra bedding or off season clothing. Transform your bedroom into a relaxing retreat with the refined beauty of this versatile bed. W 63" / D 93" / H 56"